The penultimate WEC event is done, and the results are already scribbled on the history of Mixed Martial Arts. Who among your favorite fighters took home the bacon, and who went out the cage empty-handed? The WEC 52 has come to its end and the results are in. 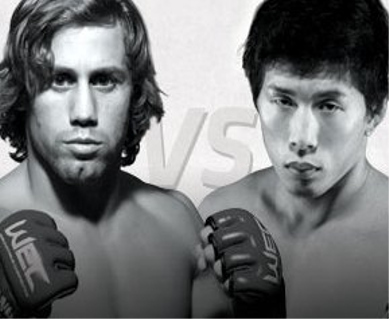 Urijah Faber makes his bantamweight debut against Takeya Mizugaki, while Chad Mendes takes on Javier Vazquez. Also in the WEC 52 main event, Joseph Benavidez meets Wagnney Fabiano. Who among your favorite fighter stands proudly on his feet? And who went home defeated? Fighting Insider has the WEC 52 quick results posted below.